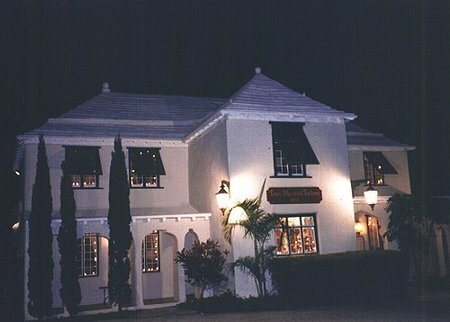 Tom Moore's Tavern was built in 1652 as a private home and is Bermuda’s oldest restaurant serving classic French, Italian and continental cuisine. It was originally a property of Robert Walsingham who was in charge of the ship Sea Venture that wrecked in 1609. It was then known as the Walsingham House and later belonged to the Trott Family. In early 1804, the famed Irish poet Thomas Moore visited the island when he was 23-years old and stayed nearby in St. George's for three months. He used to regularly visit this house and wrote some of his great verses under a calabash tree which still stands in the property about 180 meters away from the building. He struck friendship with Nea Tucker - a local lady. Both of them often sat under the tree. Thomas Moore had referred to the calabash tree and Nea Tucker in his several poems. Located at Walsingham Bay near the Crystal Caves, this colonial architecture was so impressive that a replica of the house was created at 1925 Wembley (London) exhibition. 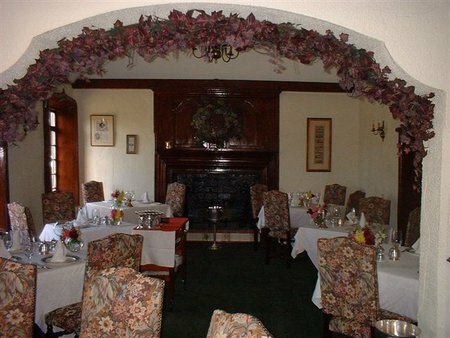 With its four fireplaces and darkened cedar walls, the place is now an elegant upscale restaurant. The original architecture of the building has been retained. Since it was a private home, there are several independent dining rooms across two floors. You can dine alfresco on a roof-covered outdoor patio. The patio overlooks the Walsingham bay. The outdoor patio is mostly used for private functions. It can accommodate about 100 guests. Seafood is a specialty at Tom Moore's Tavern and is our top favorite. During the summer, a tank outside the restaurant is kept full with live Bermuda lobsters. Good local fish selections could be rockfish and yellowtail. The dining menu is not extensive, but enough. You can start with the traditional Bermuda fish chowder (with a dash of sherry pepper and black rum to get the original flavor) or a soup of the day. In appetizers some of the nice selections are smoked salmon with eggs, roasted bread and salad, or lemon shrimp, caramelized scallops or even braised pork belly served with apple chutney. In main courses some of the favorites are grilled beef tenderloin, rack of lamb, French chicken breast etc. They also have vegan dishes. In dessert while the soufflés are good, try out the banana mousse cake with chocolate pudding. They have great selections of wine and cognac. Fireplaces, casement windows, shipbuilders' cedar joinery, English silver, German crystal and Luxembourg china contribute to a great romantic ambience. Food at Tom Moore's Tavern is comparatively more expensive than other restaurants, but it’s worth the price. You are after all dining at an upscale romantic restaurant full of classic touch. Dress Code: Elegant casual. They accept credit cards. Reservations are required. Update November 2016: A printed version of the historical portrait of Thomas Moore created by the Irish artist Robert Rothwell has been donated by Masterworks Museum to Tom Moore's Tavern. This is to be hung above the fireplace in the main dining room. So you can now have another special experience at the tavern as you dine. 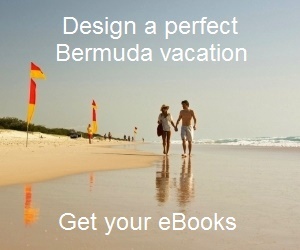 Note: Tom Moore was the first to portray Bermuda romantically to the world. Before him, the outside world had no idea about the beauty of the island and its nature. The restaurant is generally closed from January to Mid February. It serves dinner and no lunch. Bus route: #1, 3 operating between Hamilton City and St. George. Check out this Dining Map of Bermuda to see the location of the restaurant and others nearby. 1) Check out Restaurants in Hamilton Parish to know about all the well known restaurants and bars in the locality. 2) Check out Top Bermuda Restaurants to know about the best restaurants in Bermuda. 3) Visit Restaurants & Bars Directory for a complete list of dining choices in Bermuda. 4) Check out Hamilton Parish to know all about the place including the attractions, hotels, activities, maps and more. Tom Moore's Tavern was EXCELLENT. Best food ever. Gray Rockfish was unbelievable. For 2 of us, it was a $164 bill, but totally worth it.